You heard me. Polygamy. 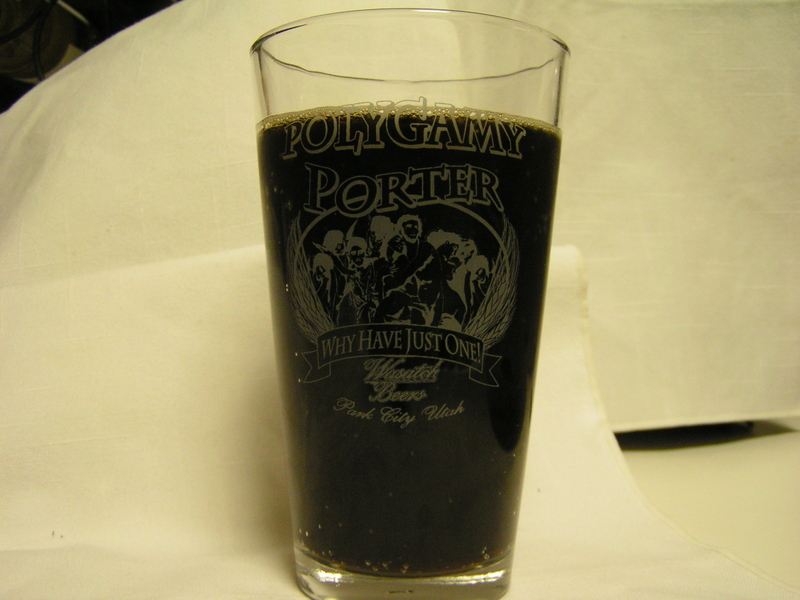 For the Beer of the Week, we have Polygamy Porter. When Rat Boy was 8, we went to the beautiful state of Utah to visit an old chum of mine whose son just happens to be the same age. On the way there, we visited Carlsbad Caverns and the bats. We drove over the continental divide at 2 A.M. with only the moon and some 18-wheelers for company. We traveled old Route 66 to Flagstaff, Arizona (yes, I DO love the song). We saw the sky blue waters of Lake Powell. We took a couple of unplanned detours, but rolled into Moab, Utah about 10 P.M. after having planned to be there around 6! We also saw a Mountain Lion (felis concan) crossing the road and managed NOT to hit it! 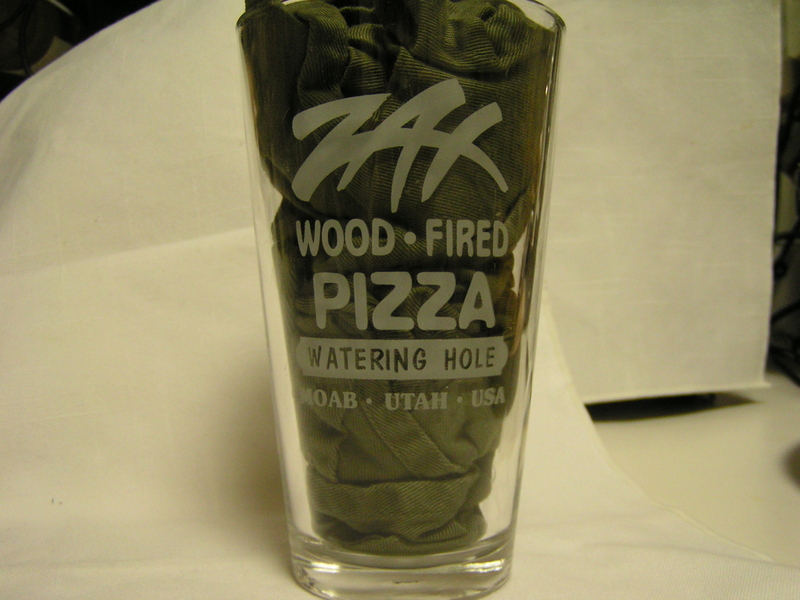 As newcomers to the awesomeness that is Utah, the first place we stopped was a bar & grill to get a bite to eat…and a beer for me. 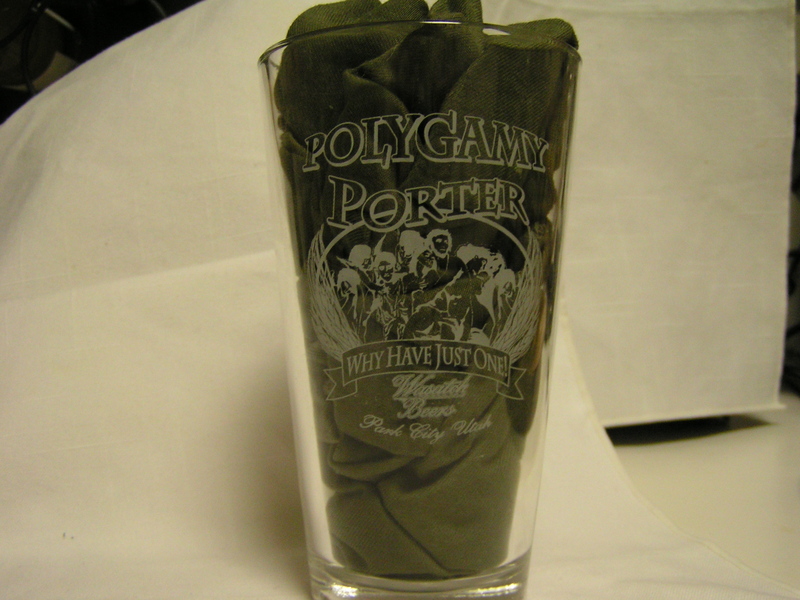 This was my first encounter with Polygamy Porter. Somehow, I ended up with a glass in my purse. STOP JUDGING ME!! When we came out, refreshed and ready to hit the hotel room, I discovered that I had locked my keys n the car. The AAA guy arrived speedily, and proceeded to work on getting the car unlocked…for almost 2 hours. So I had another several beers while we waited. They had great pizza too! As I was leaving the market this weekend, I saw a 6-pack of Polygamy Porter! Imagine my surprise. Of course, I brought it home, and it’s just as good as I remember, which sadly I can’t say about everything. 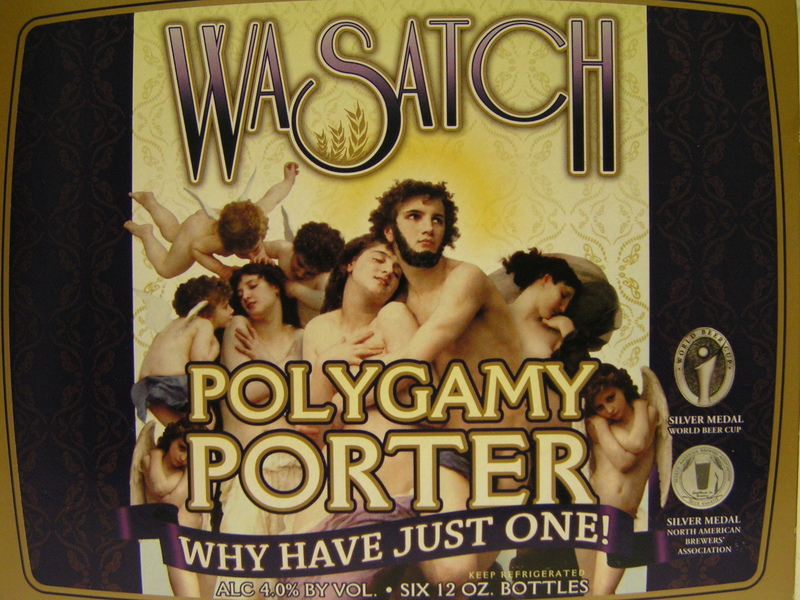 Polygamy Porter is brought to the world by the Wasatch Brewery, Salt Lake City, Utah. Now, I’m aware that Mormons, a.k.a. The Church of Latter Day Saints, do NOT drink adult beverages. Heck, they don’t even drink caffeine! I really wonder how they do that, but we can discuss my coffee habit another time. This is a light porter, weighing in at only 4% alcohol. Nonetheless, it is not light on taste. It has a rich, slightly chocolaty, toasted malt flavor which is quite pleasing. The drinkability factor is high, even in the heat of summer. So I got to use my glass, which up until now has been serving a purely decorative purpose. It was a little better on tap. But then again, what isn’t? Oh, that sounds gooood…. I like the chocolate stouts. I’m kind of starting to think the polygamy thing might just work in favor of women! Sharing the laundry, and dishes, and childcare, and shopping, and cooking :-P, and other stuff…sometimes! There is much truth in that!! !